Construction Legal (formerly Construction Legal & Commercial Services) was established in 2013. We are committed to maintaining the highest degree of professional standards in accordance with the Law Society's Statement of Ethics & Legal Profession Act 2004 (NSW). We pride ourselves in taking the time to know your business and become part of your team so that we can deliver commercial advice and solutions that adds real value to your project. Our aim is to build long term relationships with our clients and deliver them value. Our clients’ success is our success. At Construction Legal we know that finding the right people to advise on your project is not to be taken lightly. That’s why we offer free consultations to walk you through your needs, the scope of your goals, and your budget. Jessica is a senior practitioner with over 18 years’ experience in building and construction law. Clients benefit from Jessica’s extensive experience in all areas of construction law including contract negotiation, contract administration, claims management and dispute resolution. Over the years, Jessica has acted for a broad range of clients across both the government and private sectors, including NBN Co, Leighton Contractors, Downer EDI, Roads and Maritime Services, Woolworths, Masters Home Improvement, NSW Department of Commerce, Westfield, Deicorp Construction, Norman Disney Young and CF Group. Jessica’s non-contentious experience includes drafting, negotiating and advising on design and construction contracts for residential and commercial developments, major infrastructure works, rolling stock, tunnels and gas power stations. She also has extensive contract administration experience, assisting clients in the day-to-day administration of claims and notices on large PPP projects, drafting correspondence on payment, variations, delay and disruption issues and advising on security, insurance and liability matters. Jessica’s contentious work includes conducting litigation proceedings, expert determinations and mediations. Jessica has also had the carriage of a number of successful applications and defences under the Building and Construction Industry Security of Payment Act (1999). Jessica is a strategic thinker and will always strive to develop solutions to legal problems that provide commercial solutions for her clients. Click here to view Jessica’s profile and recent project work. View Jessica's profile on LinkedIn to see how you're connected. Valentina is a highly experienced construction, infrastructure and property lawyer, with over ten years’ experience gained in top-tier private practice, in-house and government advisory. Her expertise includes advising, drafting and negotiating complex residential and commercial construction and infrastructure documentation, including agreements for lease, licences, and other related ancillary documentation (e.g. supply, minor works, and supply agreements), providing project procurement, structuring and planning, and as well as dispute resolution. Her passion is to provide strong technical advice that is commercially focused. She also assists her clients with understanding commercial and technical risks to ensure the successful management of contracts during delivery. She has acted for large and national property developers, government, large private and ASX listed contractors, subcontractors and consultants. She holds a Master in Construction Law, attending Cambridge University on exchange for part. She is also a part time lecturer at UTS on Building and Construction Law. Click here to view Valentina's profile and recent project work. View Valentina's profile on LinkedIn to see how you're connected. As a qualified Builder and building Project Manager, Des Powell brings to the business thirty years of “hands on” Project and Construction Management experience in all facets of the construction industry, from planning, Design Management and estimating through to construction supervision and project management. Click here to view Des' profile and recent project work. View Des' profile on LinkedIn to see how you're connected. Emilee is a graduate of Bachelor of Laws and Bachelor of Business majoring in International Business. She studied at Auckland University of Technology before relocating to Sydney in early 2019 and achieving Academic Excellence Awards consistently from 2015–2017. Emilee has a passion for Litigation and Dispute Resolution and has undertaken the Resolution Institute’s (previously Leadr) Dispute Resolution Course in Mediation. Emilee placed 4th at the International Chamber of Commerce Mediation Competition in the Asia-Pacific Region. Emilee has an interest in advanced commercial contracts, supported by excellent grades and continues to develop these skills in her current role. She is responsible for performing and assisting with tasks in litigation matters and meeting clients’ needs with respect to evidence, affidavits and orders. Emilee ensures that all deadlines relating to any proceeding are met and clients and counsel are kept up-to-date on matters. Emilee assists with legal research and preparation of memorandums that form advice to clients. 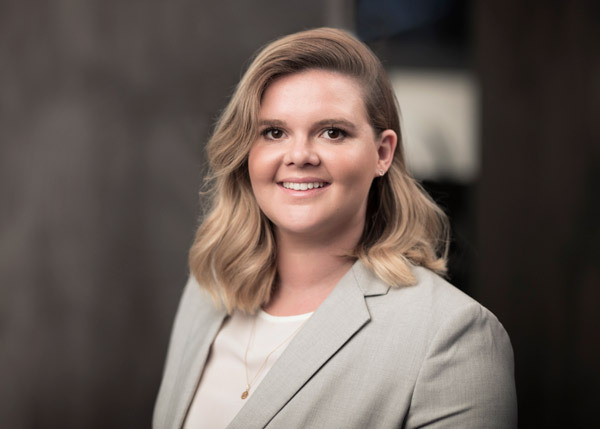 During her time at university, Emilee assisted on complex litigation cases, worked as a law clerk in a specialist property law firm, and was responsible for organising a national conference for the New Zealand Law Students’ Association. Before returning to university, Emilee worked in compliance for a boutique investment company across Australia, under ASIC Regulations and New Zealand which is where her interest in the law was first developed. In earlier years, Emilee trained as a Professional Chef (she also holds a Diploma in Culinary Arts) which she utilised when she lived in France and travelled around Europe working on a Superyacht for two years. View Emilee's profile on LinkedIn to see how you're connected. Chen is currently completing his second year of a Bachelor of Engineering Honours (Mechanical Engineering) and Bachelor of Laws at the University of Sydney. Drawing from diverse interests in both Engineering and Law, Chen is able able to assist our team on a broad range of matters. Chen is responsible for performing administrative tasks and maintains contact with our clients to keep them up to date on various matters. He also ensures that the team have a comprehensive and clear understanding of the facts of the case by organising materials for case reviews. Chen is extremely competent at legal research and uses his up to date understanding of legal databases to provide accurate and thorough case summaries, research memorandums and other materials to assist with dispute resolution. Chen endeavours be as involved as possible in all of our legal matters by consistently updating his knowledge of construction and commercial law. View Chen's profile on LinkedIn to see how you're connected. Reaching is an Australian charity organisation that provides food and other essentials to families in need. Construction Legal is proud to provide Reaching with free legal advice and to support the organisation in all of its endeavours.